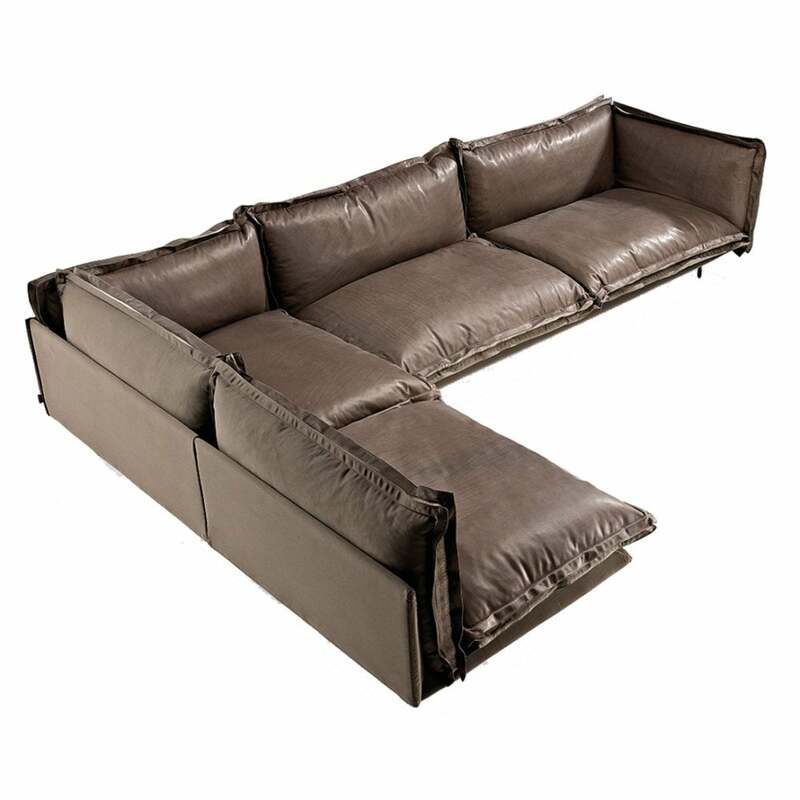 Designed by Giuseppe Viganò, the Auto Reverse is an innovative modular sofa range with reversible cushions. Priced here for leather on one side with a choice of fabric for the other, the sofa has feature zips in a choice of colours. Many configurations available - please contact us for details.